CINCINNATI — The hot-trotting, earring-wearing, Muhammad Ali-rhyming Dave Parker of the 1970s and early ’80s now has a measured stroll, and the once-booming voice that demanded attention and produced echoes of laughter throughout major league clubhouses is turned down a few decibels. But Parker still has that swag and wit. 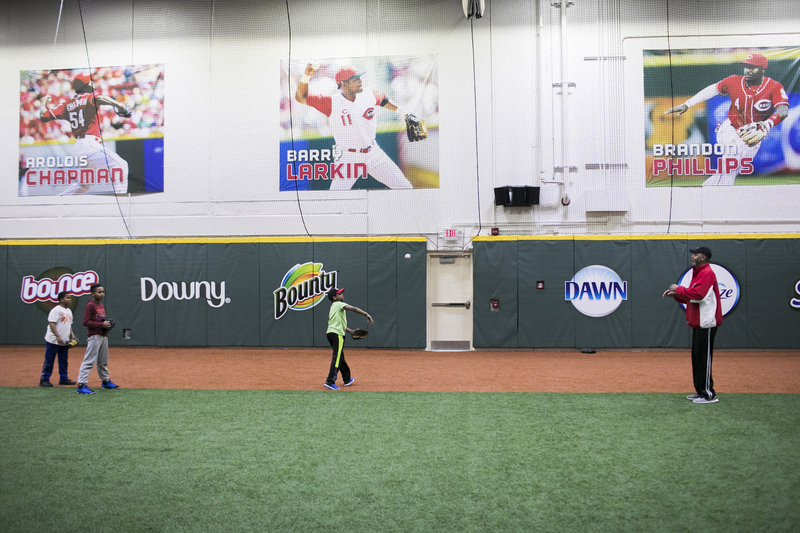 The man who once terrorized opposing pitchers and baserunners who dared test his powerful arm spends Monday evenings sharing his wisdom and teaching fundamentals to young baseball players at the Cincinnati Reds Urban Youth Academy — a short walk from Parker’s residence in his hometown of Cincinnati. Although many of the players, ranging from ages 10 to 18, only know Parker from YouTube highlights and tales shared by their parents, the players pay keen attention to the still-imposing 6-foot-5 instructor on the use of the batting tee and details on hitting in the batting cage. And, from time to time, Parker, known as the “Cobra” in his playing days, will even insert a joke to remind the young players that baseball is fun. 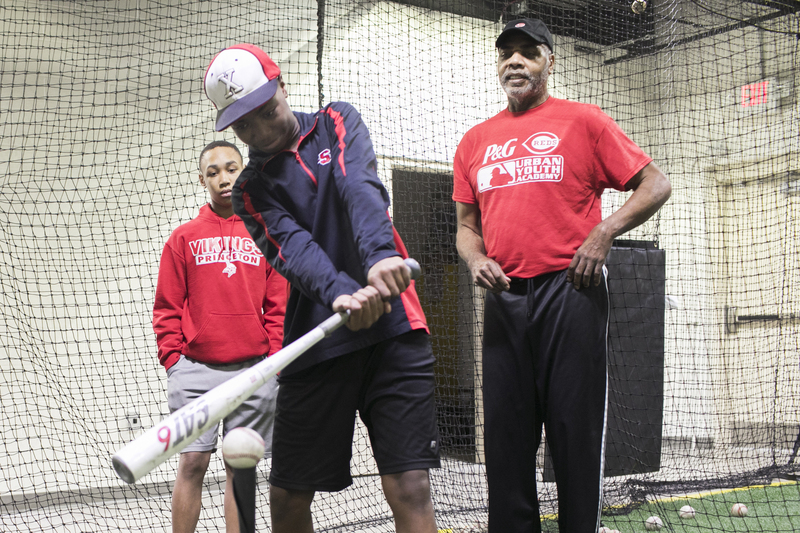 Dave Parker trains kids at the P&G Cincinnati MLB Youth Academy. The same confidence Parker displayed in 19 seasons with the Pittsburgh Pirates, Reds, Oakland A’s, Milwaukee Brewers, California Angels and Toronto Blue Jays is the same approach he uses in his battle with Parkinson’s disease and continued omission from the Baseball Hall of Fame in Cooperstown, New York. 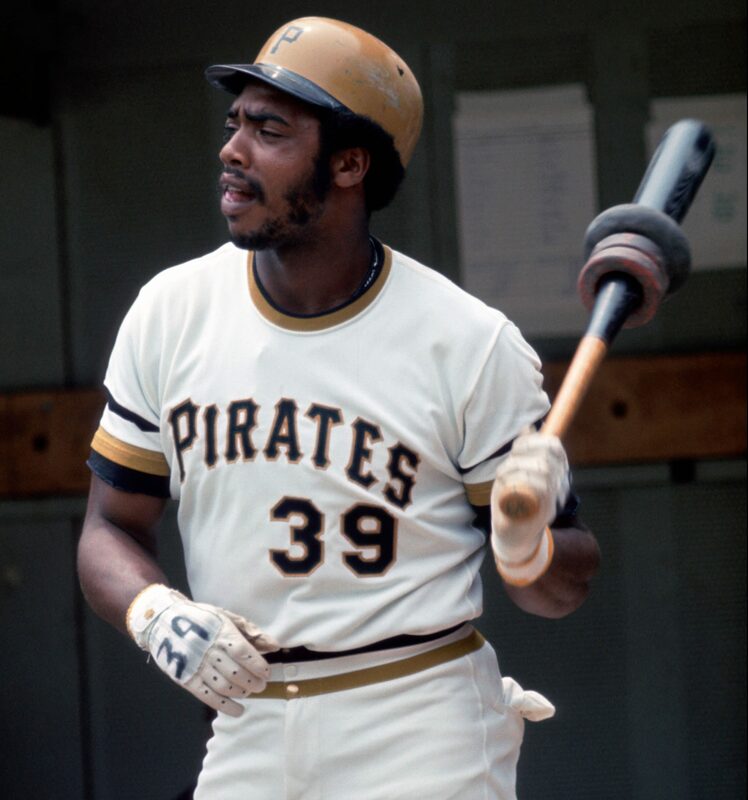 Outfielder Dave Parker #39 of the Pittsburgh Pirates waits on deck for his turn at bat during a game at Three Rivers Stadium circa 1975 in Pittsburgh, Pennsylvania. The Pirates drafted Parker in the 14th round out of Cincinnati Courter Tech High School shortly after his graduation in 1970. He was impressive in the minor leagues, earning MVP in the Gulf Coast League, Player of the Year honors in the Carolina League and a legendary moment in Charleston, West Virginia, in the International League, when he hit a home run out of the stadium and into a moving train coal car. The train traveled 150 miles to Columbus, Ohio. “So I hit the longest home run in baseball history,” said a smiling Parker. 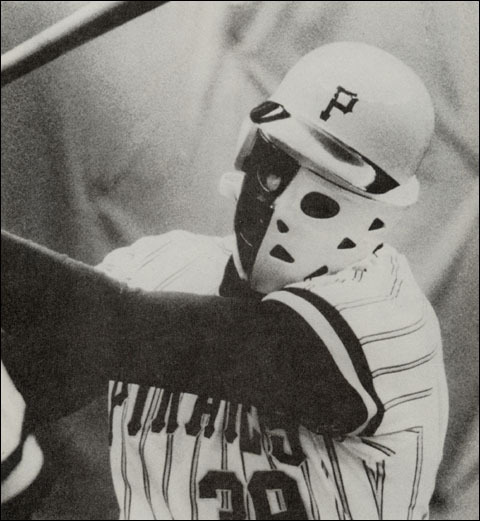 The Pirates moved Parker up to the majors late in 1973 and ’74, and he became a full-time starter in ’75, replacing legendary right fielder Roberto Clemente, who died in a plane crash on a relief effort three years before. Parker joined a team with future Hall of Famer Willie Stargell, star outfielder Al Oliver and pitcher Dock Ellis, who later revealed he was under the influence of LSD when he threw a no-hitter in 1970. Parker’s batting average was .308 or better from 1975-79. He averaged 23 home runs, 98 RBIs and 95 runs scored. He also averaged 17 stolen bases. During that span, Parker won MVP in ’78 and helped the Pirates to a World Series title in ’79. He won back-to-back batting titles (.338 in 1977 and .334 in 1978), twice led the National League in slugging percentage (1975 and 1978) and won three Gold Glove awards (1977-79). His 26 assists in ’77 are still the most for any outfielder in a season since Clemente’s 27 in 1961. And there was the ’79 All-Star Game in Seattle’s Kingdome. Parker became the first outfielder to win All-Star MVP primarily for defense. The American League was leading 6-5 in the seventh inning when Boston outfielder Jim Rice hit a ball into shallow right field. Parker overran the ball, recovered and retrieved the ball after a high bounce. He threw a one-hop laser to third, where Rice was tagged out. In the eighth inning, with the score tied at 6, Parker fielded a Graig Nettles one-hop single to right field and threw a rope home, where catcher Gary Carter tagged out Brian Downing trying to score from third. At the plate, Parker intentionally walked, singled and drove in a run via sacrifice fly. It was a tremendous time for Parker and his teammates. The Pirates were popular not only in Pittsburgh but across America, especially because the team was fun and their adoption of the Sister Sledge song “We are Family” as their anthem in ’79 raised even more attention. The phrase “The Family” was written on the dugout roof, and the tune was played on the stadium PA system. Parker and his teammates also brought the funk to the game. He wore a Parliament-Funkadelic-inspired T-shirt “If You Hear Any Noise It’s Just Me And The Boys Boppin” to motivate his teammates. He was one of the first athletes to wear an earring. In ’78, Parker wore a hockey mask (one side painted yellow and the other side painted black) in a game to protect a broken jaw on the mend. Parker also wore white tape on his fingers and cleats. He said the tape on his fingers provided a better grip and the tape on his cleats looked cool. The legendary feat: In a game against the St. Louis Cardinals, Parker nailed a shot into the ground and through the infield. He ripped the cover off the ball. A huge piece of the cover flapped as the ball rolled into the outfield. Former Pirates outfielder Mike Easler said Parker was the Ali of baseball. 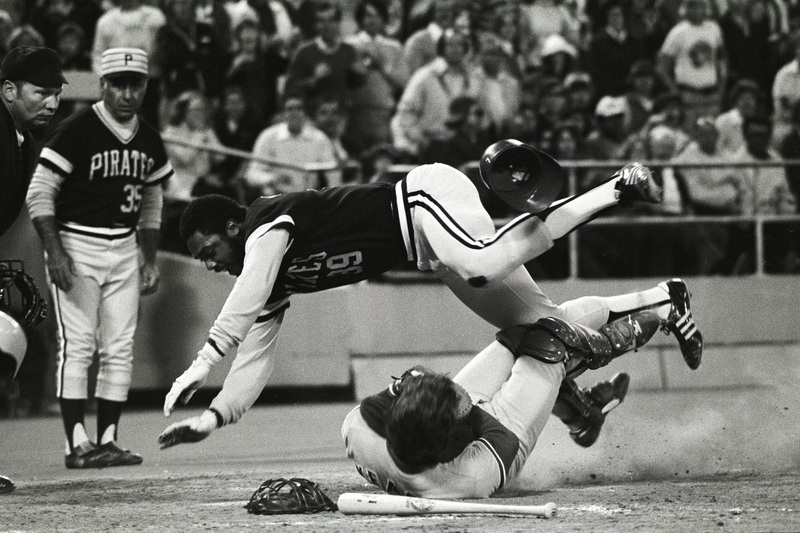 Outfielder Dave Parker #39 of the Pittsburgh Pirates crashes into catcher Steve Yeager of the Los Angeles Dodgers in a collision at home plate during a game at Three Rivers Stadium circa 1979 in Pittsburgh, Pennsylvania. In January 1979, Parker signed a five-year deal (including incentives) that would make him the first baseball player to earn $1 million in a season. And the contract brought criticism. Parker helped lead the Pirates to a World Series victory against the Baltimore Orioles that year, but this was the beginning of the end of the city’s love affair with the star. He hit .310 that season and had 94 RBIs, but many fans figured a million-dollar player should have produced more. It was so bad that Parker skipped the World Series parade. Over the next few years, Parker’s time continued to erode. Injuries started to affect his performance, his weight fluctuated and his numbers dipped. From 1980 to his last year in Pittsburgh in 1983, Parker hit .280 and slugged .439, which were not nearly the numbers in his prime. During this time, Parker was also involved in a baseball cocaine scandal. Eleven players, including Parker, were granted immunity in exchange for their testimony in the 1985 trial. Parker told the courts that his play slipped and that cocaine played a part in it. It was also a time when the steel mills in Pittsburgh were closing, and the last thing residents wanted to hear and see was a rich, gregarious black man suffer through injuries and have a dip in his numbers. One of the low points was in the summer of 1980 when someone at Three Rivers Stadium threw a 9-volt battery near Parker while he was in the outfield during the first game of a doubleheader against the Los Angeles Dodgers. 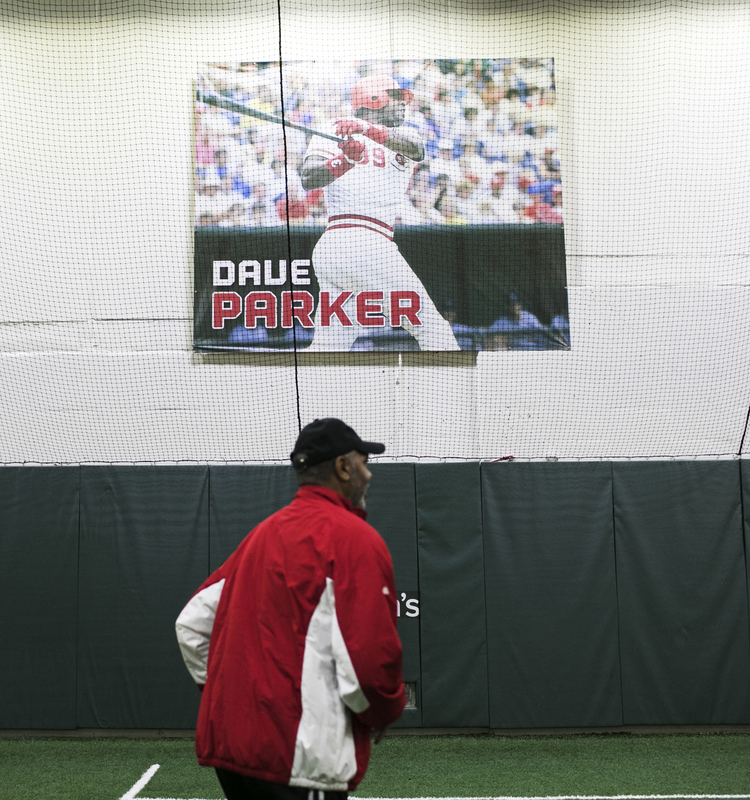 Dave Parker walks by his poster at the P&G Cincinnati MLB Youth Academy on January 25, 2018 in Cincinnati, OH. The Pirates and Parker parted ways when he signed as a free agent with his hometown Reds after the 1983 season. The move revitalized his career. Parker drove in 94 runs and hit .285 in ’84 and in the next season, at age 34, he hit .312 and a career-high 34 home runs and 125 RBIs. He led the league in RBIs, doubles and total bases and was second in homers, but he finished second in MVP voting behind Willie McGee, who led the league with a .353 average. Parker finished his career with the A’s, Brewers, Angels and Blue Jays. In the process, he won a second World Series, with the A’s in ’89, and twice won Designated Hitter of the Year. Parker finished his career with a .290 batting average, 2,712 hits, 339 home runs and 1,493 RBIs. He was a seven-time All-Star and won three Gold Glove Awards and three Silver Slugger Awards. Despite his accomplishments, Parker remains on the outside when it comes to the Hall of Fame. He was up for election in December by 16 members of a Modern Baseball Era Committee that included former major leaguers George Brett, Rod Carew, Bobby Cox, Dennis Eckersley, Don Sutton, Dave Winfield and Robin Yount. Parker did not receive the necessary 12 votes. He received fewer than seven. Jack Morris and Alan Trammell were elected to the Hall. Parker was listed on the Modern Baseball Era ballot with Don Mattingly, Morris, Dale Murphy, Ted Simmons, Steve Garvey, Tommy John, Luis Tiant, Trammell and agent Marvin Miller. The Modern Era Committee was created to consider retired major leaguers no longer eligible for election to the Hall of Fame by the Baseball Writers’ Association of America (BBWAA). Parker spent 15 years on the BBWAA’s Hall of Fame ballot. A player needs 75 percent of the votes for election. Chipper Jones, Jim Thome, Vladimir Guerrero and Trevor Hoffman made the cut on Wednesday. Parker’s final year on the BBWAA’s ballot was in 2011. He received only 15.3 percent of the vote. Eric Davis, who played with Parker in Cincinnati, agreed that selection into the Hall should be hard but said Parker is an easy choice. Many, including Parker, assume his omission from the Hall of Fame has to do with the cocaine trial and his brashness. Parker’s biggest battle is not with Hall of Fame voting committees but with the Parkinson’s disease that doctors diagnosed in 2012 after Parker noticed his hand trembling. Parkinson’s disease attacks the brain’s nerve cells and affects movement. About 1 million people in the United States have Parkinson’s. Ali had Parkinson’s, and most recently Neil Diamond. There is no cure, but Parker fights it daily with exercise and medication. There are days and sometimes weeks where he doesn’t have any trembles and times when it’s very noticeable. Sometimes getting out of bed is a challenge. Parker moves a little slower now, but his spirit remains. 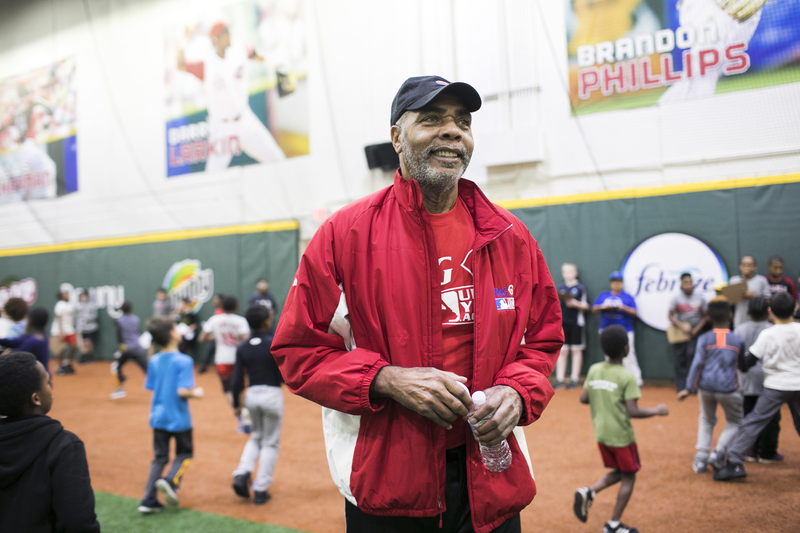 He and his wife, Kellye, started the DaveParker39 Foundation, which raises money to assist Parkinson’s awareness and programs. While Parker continues his battle with Parkinson’s, the members of the Modern Baseball Era Committee will battle among themselves again in 2019 to vote on another wave of players who have been left out of the Hall of Fame. Parker’s not so sure if he will get in or even be on the ballot. He will accept whatever decision is made.